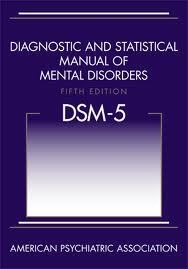 The American Psychiatric Association (APA) is about to publish the fifth edition of its diagnostic system of classification: DSM-5. And, three weeks before the publication, Thomas Insel, director of the National Institute of Mental Health (NIMH), announced that his agency will be moving away from funding studies based on the DSM categories. The goal will be to build a new system of classifying psychiatric disorders based on a basic understanding of how genetics, neurobiology and cognitive functions shape the brain and mind. As Insel put it, “patients with mental disorders deserve better” and “we cannot succeed if we use DSM categories as the ‘gold standard. '” Days later, the chair of the DSM-5 Task Force wrote that a new system based on neuroscience is so far “a promissory note” and that the DSM remains essential for the diagnosis of individuals who are suffering in the here and now. “Our patients deserve no less, ” he concluded.